Pressing Capacity as shown below is the size of the piece you can fit inside the bag. 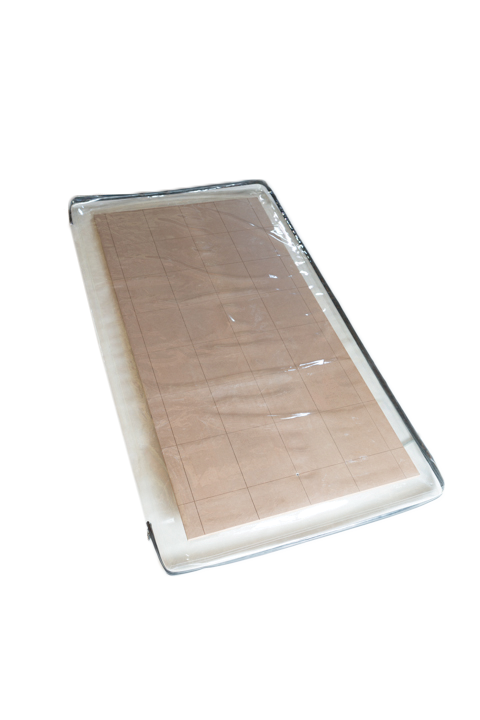 For example, if the pressing capacity is 49″x 97″ you can can fit an full 49″ x 97″ x 2″ panel in a 54″x 112″ bag, which is the Actual Bag Size. Vinyl is flexible, durable, water clear, and will accommodate all types of flat and curved woodwork. 30 mil vinyl bags are ideal for the home hobbyist and the professional shop doing light duty/occasional pressing with their budget in mind. 30 Mil Vinyl VacuPress® Bags have heat-welded seams and clamp-less, airtight vacuum hose attachments. All bags have a convenient, C channel closures that gives an air-tight seal and a firm grip against the pull of curved work. Four by four and smaller bags are single end entry. Four by eight and larger bags are double end entry. The double end entry bags come with an additional C channel closure that can be moved down the bag for smaller setups and faster pressing time. 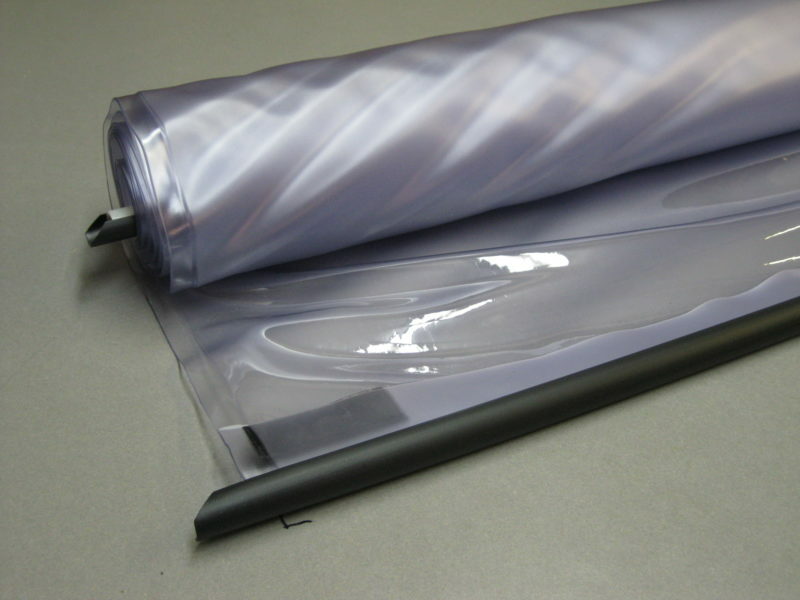 Custom Bags are available – please contact Vacuum Pressing Systems, Inc. for more information. 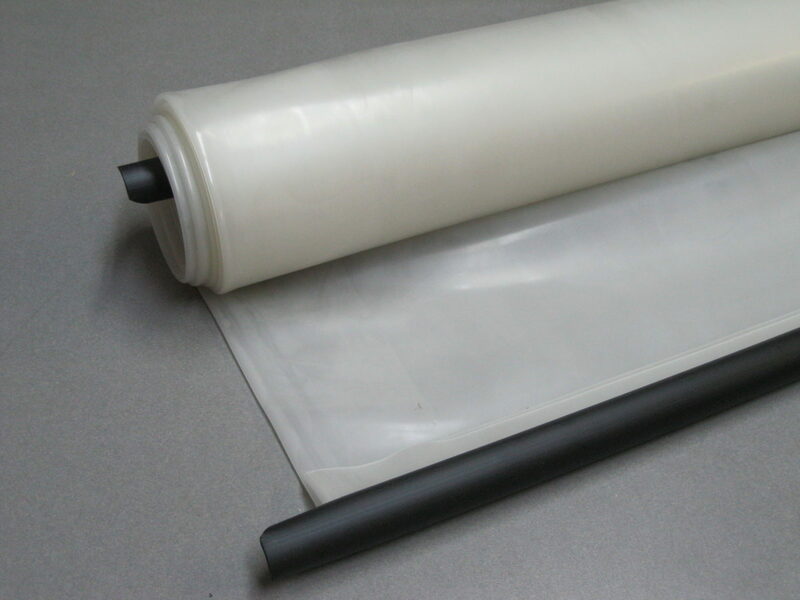 Extruded Polyurethane is a state-of-the-art water clear vacuum bag material used extensively in high tech industries because it combines high puncture resistance with excellent elasticity, memory retention as well as moderate temperature resistance, up to 150 degrees repeatedly and 180 degrees occasionally. These qualities make extruded polyurethane the perfect material for daily use in the professional shop pressing flat, curved, and shaped work. If you just want the best, this is it. 30 Mil Industrial Extruded Polyurethane VacuPress® Bags have heat-welded seams and clamp-less air-tight vacuum hose attachments. All bags have a convenient, C channel closures that give an air-tight seal and a firm grip against the pull of curved work. Four by four and smaller bags are single end entry. Four by eight and larger bags are double end entry. The double end entry bags come with an additional C channel closure that can be moved down the bag for smaller setups and faster pressing time. 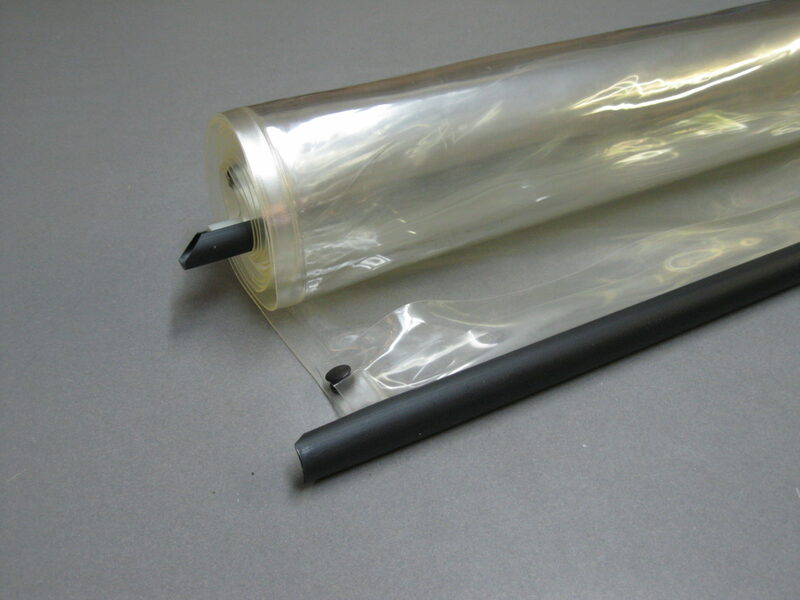 Economy Grade Blown Polyurethane is a lightly milky transparent vacuum bag with excellent elasticity, memory retention and similar temperature resistance to extruded polyurethane. But, unlike Industrial Grade Extruded polyurethane, has only good puncture resistance, in between our vinyl and extruded polyurethane. These qualities make blown polyurethane a good choice for regular use on flat, curved, and shaped work in a professional shop, at an economical price point. 30 Mil Economy Grade Blown Polyurethane VacuPress® Bags are seamless with clamp-less airtight vacuum hose attachments. All bags have a convenient, C channel closures that give an air-tight seal and a firm grip against the pull of curved work. Four by four bags are single end entry. Four by eight and larger bags are double end entry. The double end entry bags come with an additional C channel closure that can be moved down the bag for smaller setups and faster pressing time. VacuPress® Vacuum bags have been the backbone of our business since our first introduction of vacuum pressing technology to the woodworking field twenty five years ago. 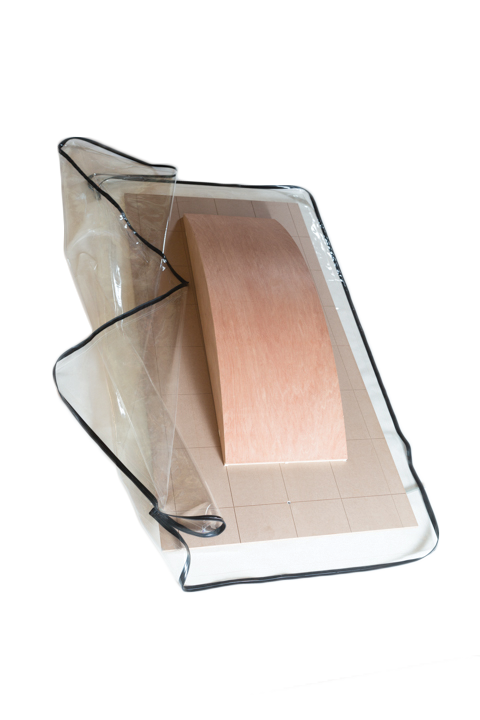 Simple, straight-forward and easy to use, vacuum bags have found their way into almost every woodworker’s shop. They conform to almost any shape and can be rolled up and put away for storage. So, how to improve upon something that has proven itself consistently for so long? Introducing vacuum-proof zipper bags. Opening on three sides like a suitcase, our zipper bags allow full, unrestricted access to the pressing area…no sliding or struggling to get work into the bag. They provide the easy access of a frame press while offering the versatility and ease of storage of a regular bag, making zipper bags a perfect blend of the two. Simply set your project into the bag and zip it closed. The zipper seals perfectly and locks at the end providing a vacuum-proof, sealed environment. 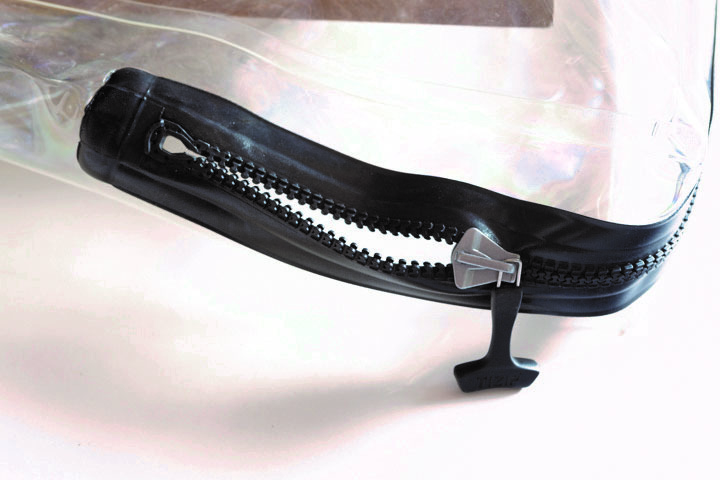 These 30 Mil Polyurethane Zipper Bags are ideal for repeated, industrial use. Our zipper vacuum pressing bags are made from 30 mil extruded polyurethane for maximum puncture resistance, durability and flexibility. 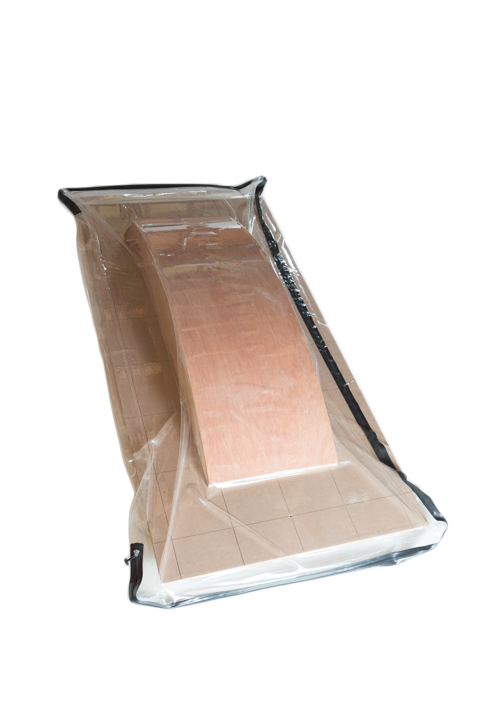 Our polyurethane bags are so rugged that we warranty them for five years against seam de-lamination and tearing.